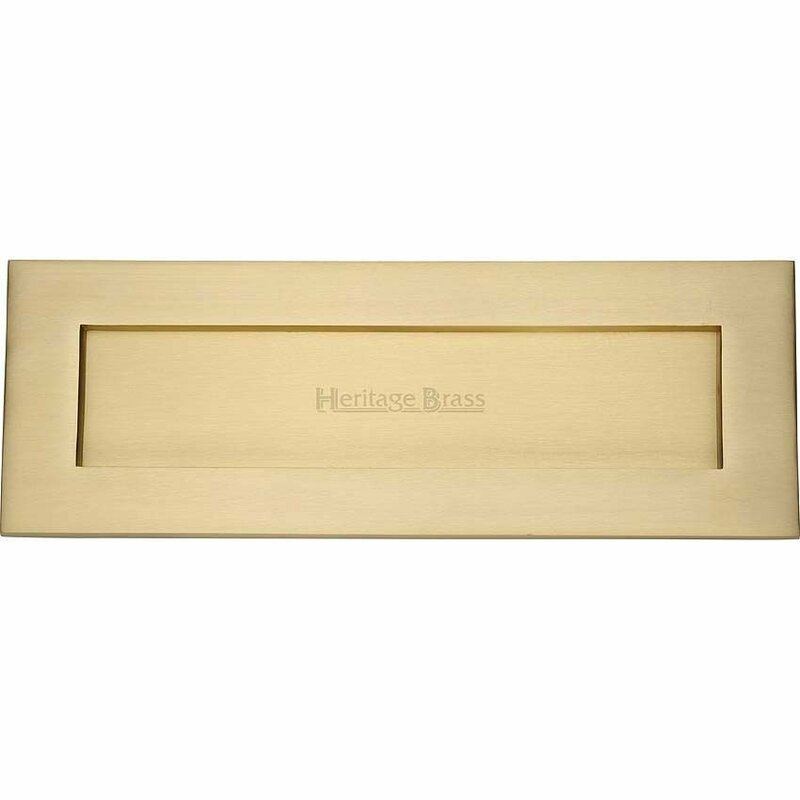 356mm x 127mm Sprung Flap Letterplate In Satin Brass Finish. Extra Large 14" x 5" Plain Letter Plate. Please note, due to the large size no letter plate tidy is available for this product. Letterplate Outer Size 14" x 5"